After having reviewed its position on cannabis as a medical treatment for people with multiple sclerosis, the UK’s MS Society is calling on the nation’s government to legalise cannabis to treat pain and muscle spasm in MS patients, when other treatments have been unsuccessful. Around 100,000 people in the UK have MS and more than two million are diagnosed with the condition worldwide. Multiple sclerosis is a condition of the central nervous system whereby a substance called myelin that protects the nerve fibres is mistaken for a foreign body, and the body’s immune system attacks it. This disrupts messages going through nerve fibres and may result in damage to the nerves themselves; causing spasms, difficulty in movement and severe pain. “We believe that people should be able to access objective information about the potential benefits and side effects of using cannabis for medicinal purposes,” states the Society’s Director of External Affairs, Genevieve Edwards. In the UK, MS sufferers can legally access a cannabis-derived medicine called Sativex. However, with the exception of Wales, it’s not subsidised under the National Health Service, putting it out of reach of many patients. This is resulting in some of those patients having to access cannabis medicines through illegal means, putting them at risk of prosecution. 22% of people with MS surveyed by the Society state they have tried illegal forms of cannabis. Of those who stopped using it, 26% cited legal concerns. The Society says around 10% of people with MS could derive benefit from the use of medicinal cannabis to treat their pain spasticity where other treatments had failed. The Society states until such time the UK Government develops a robust system providing affordable access to legal cannabis for medicinal use in MS sufferers, a legal defence should be put in place so possession in these circumstances would not be a criminal offence. 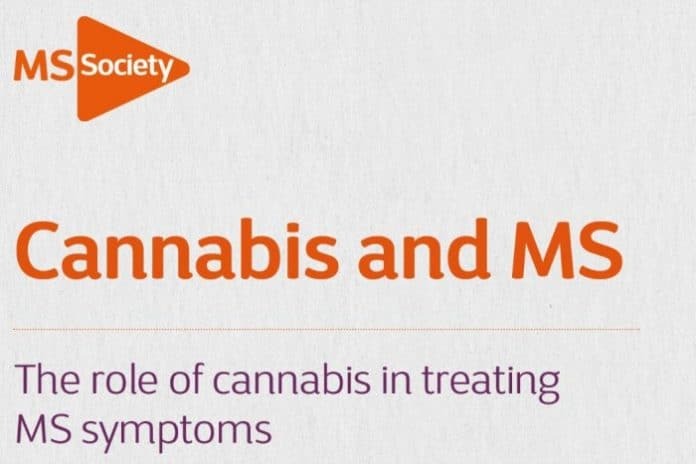 Coinciding with the Society’s call is the release of its new report, Cannabis and MS (PDF), which looks into the role of cannabis treatment of MS symptoms.